TOS Caravan is a workbook that will help you manage a Caravan in the Pathfinder Roleplaying Game! Allows the creation of custom wagons, travelers, caravan feats and equipment! 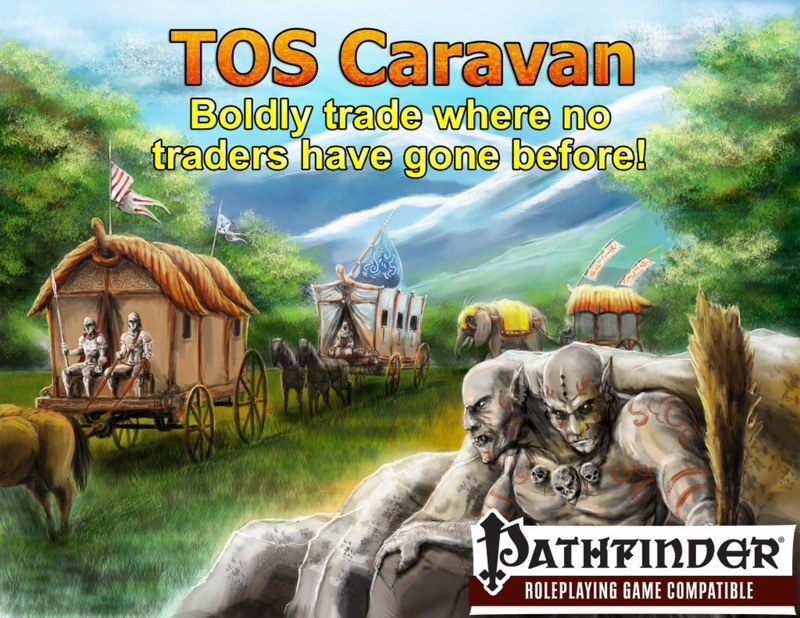 TOS Caravan supports the Caravan Rules as per Paizo's Adventure Path #49! Continuing in the ToS+ vein, this mini app does the math for you. Not that it's complicated but you will know you haven't missed anything. And at 2.99$, why wouldn't you want it. A PREVIEW of the sheet available in TOS Caravan is now available HERE!